Accessing your Mac from any spot in the universe is faster, simpler, and more secure with the new upgrade from Screens developers. The team behind the app has listened to all customer requests and thought hard about how to make Screens better and what it needs, and rolled out an impressive Version 4. Curtain mode. 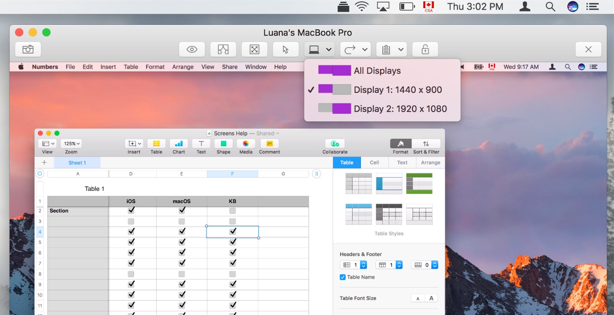 Don’t want others peeking into your Mac’s Desktop while you’re working on private documents? Screens allows you to obscure the view of your Desktop and hide it from excessively prying eyes. Polished user interface. Screens got a soft makeover that has added groups and availability indicators. The design has a few changes and a generally more glossy look. File transfer. With a direct drag and drop you can now move files to your remote Mac and back from it. This is like, the future right here. Touch bar support. Which means exactly touch bar support. Ok, there’s way more to this amazing upgrade but you can check it all inside the app in Setapp. We’ll keep you posted on the next cool thing that comes out. Cheers.